This headset will make your gaming experience more engaging by allowing you to strategize with teammates or use the friend chat while playing your favorite XBOX 360 games. 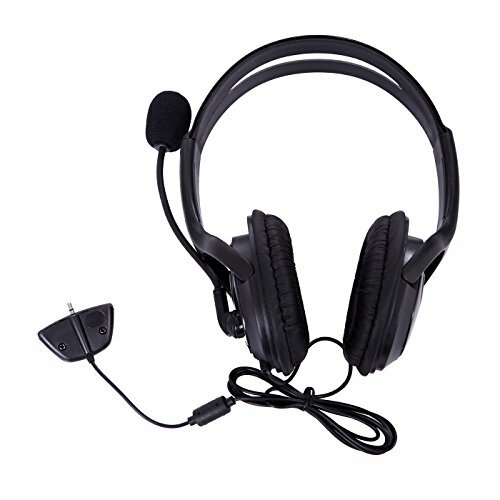 The headset provides the capability of adjusting the volume, with a frequency range of 20-20,000 Hz and a sensitivity of 54 dB. An adjustable microphone boom allows you to reduce noise or increase pickup by being able to place it at any angle. The lightweight, over-the-head design can be adjusted for the right fit and the premium ear cushions provide comfort. NOTE: Headset does not play in-game audio; it only allows for voice chat.